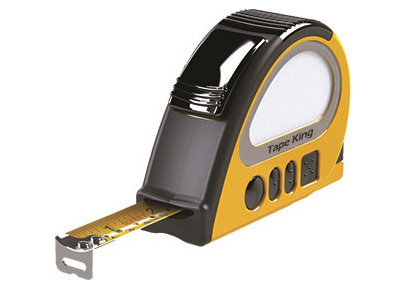 Tape measure with an inclinometer and level that uses voice technology. This tape helps you to measure surfaces and spaces easily with the most autonomy and precision. A clear voice informs you quickly about slopes and measurements. This tape measure, which is made of flexible material and has tactile markings, is very useful for anyone who is blind or with low vision. The combination of tactile markings and high-contrast numbers enables it to be used comfortably. It is suitable for any type of user.